For many motorcyclists Sardinia is unexploited territory. We discovered parts of the island on board Honda’s new X-ADV, the world’s first crossover scooter, equipped with Bridgestone Trail Wing tires. 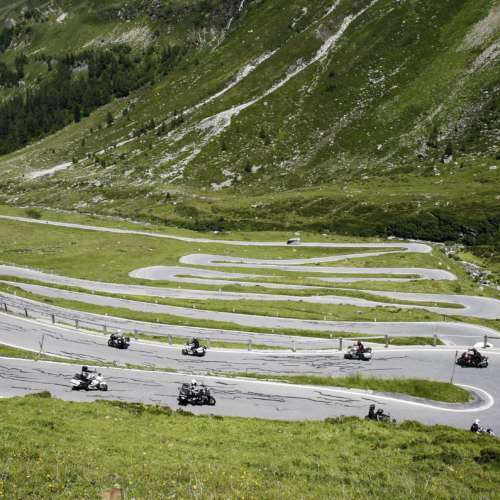 Add some nice weather and low traffic roads and there is your recipe for fun. Sardinia is not the most popular motorcycle destination. 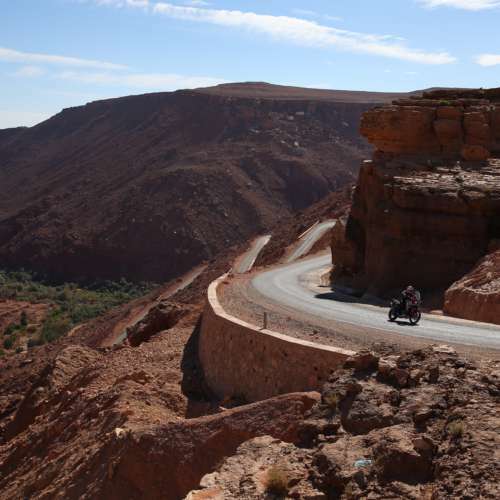 The main reason for that is that you need to take a ferry to get there on a motorcycle. But that is actually not as bad as it sounds. Once you get to Olbia in the North, there are a variety of options. But all of them go south. 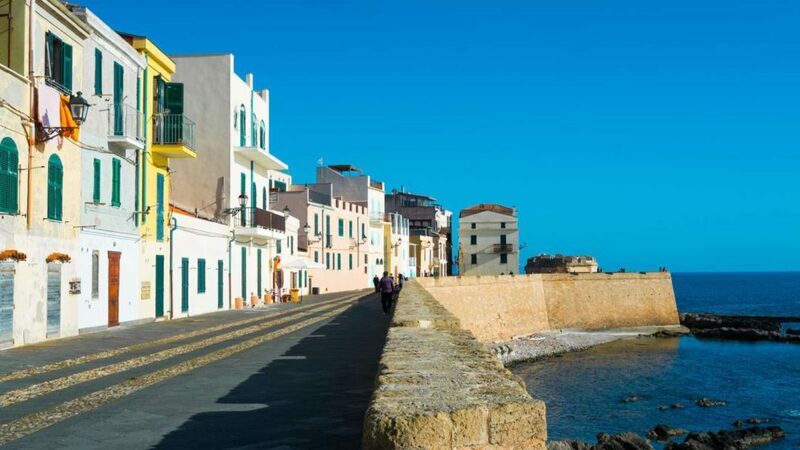 One of the most original choices is to head for the centre of Sardinia. Apart from July and August, Sardinia never sees a lot of traffic. But away from the coastal roads, there are even less cars. In some parts, there is a bigger chance of seeing sheep on the road then crossing cars. Still, the roads are in mint condition and long straights are rare here. Tight corners and fast sweepers are on the menu of every motorcyclist that chooses Sardinia in general and this road in particular. 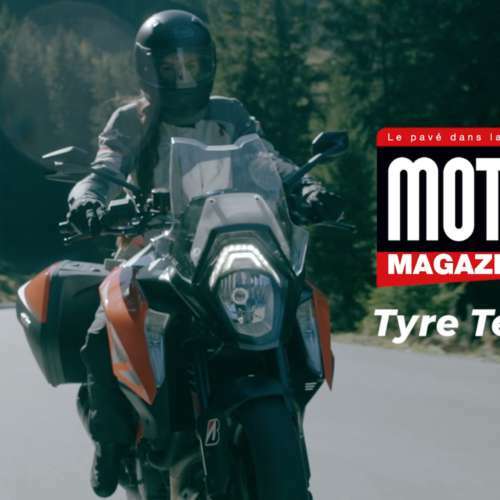 This is tailor-made for the X-ADV and the Bridgestone Trail Wing tires. During winter, it can get a bit chilly in Sardinia and the mountain sections can see an occasional snowflake. But once spring comes around, the climate is very mild. July and August can get quite hot, but because of the holidays, this is not the best period to go riding in Sardinia anyway. Summer is always nice and in May the weather was just perfect. Warming up the tires is hardly necessary. The asphalt has a good temperature and the Bridgestones warm up quite fast with amazing grip and great traction on the occasional off road part. On top of that, we are not in attack mode here. The trip to Cagliari in the South takes about 4 hours. Without too many cappuccino or photo stops you can make it by noon. Using the smooth power of the Honda and the grip of the Bridgestones we can even afford to stop at two of the many terraces we pass and chat a bit with the locals. Sardinians turn out to be quite nice people and a bit more laid back then their fellow countryman on the mainland. Or the Sicilians for that matter. We talk a bit, but we never stay too long in one spot. Because the riding is just too nice over here. Almost no traffic, great roads and a perfect 24 degrees. 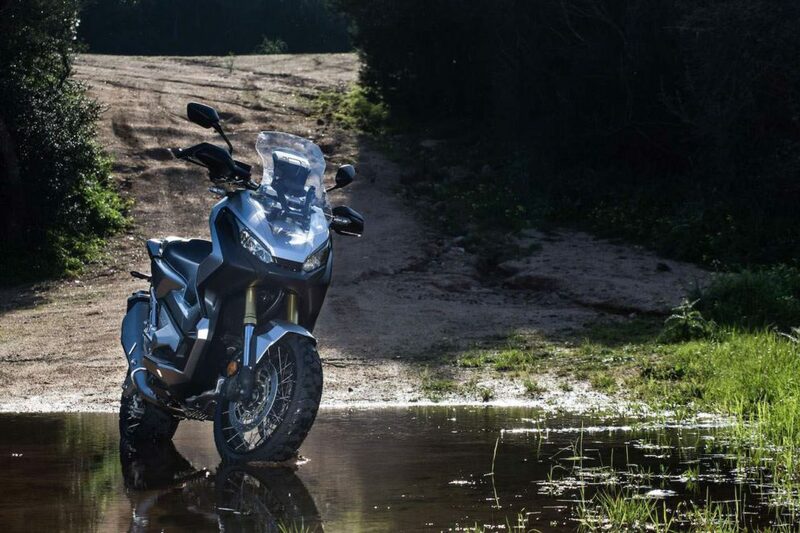 The X-ADV is just perfect for the twisty parts and on open roads we enjoy the comfort and stability of this SUV motorcycle. The Bridgestones provide great feedback, which we appreciate on some of the sections were there is dust or gravel on the road. We don’t need any electronic assistance on this trip as the Bridgestone prove to have sufficient grip during the entire ride and are a perfect match for the new Honda. This provides us with extra confidence and we take even more pleasure in riding these Mediterranean roads. 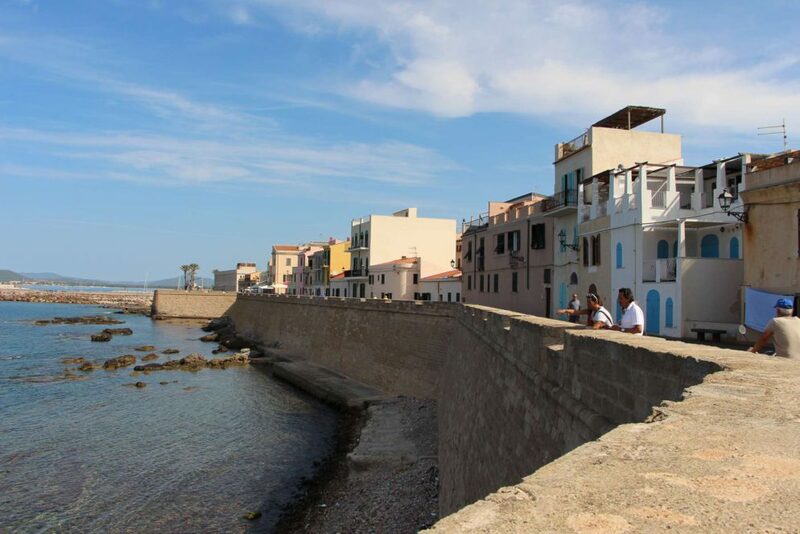 Coming down on the SS125vas coastal road in the direction of Cagliari we choose to head for Capoferrato. It’s striking how low the traffic is over here. We are quite cautious in staying on the right lane and keep a bit of reserve braking and accelerating; we hardly come across any traffic. There are some cars in and around the towns, but once you hit the coast or the mountains, Sardinia is motorcycle paradise. And it remains this way throughout the trip. 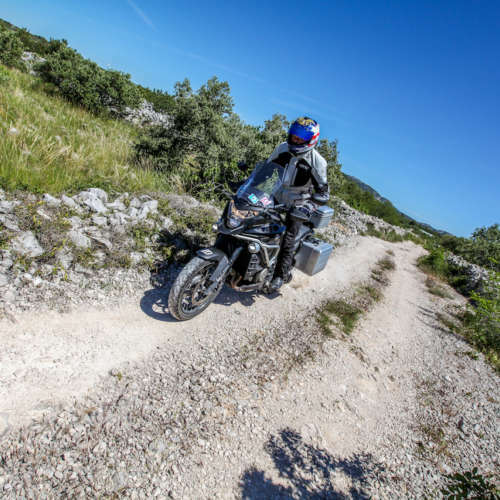 We spend 4 days of riding and relaxing in Sardinia before we hop on the ferry in Olbia again. We could have chosen to take the southern ferry in Cagliari and head for Rome, but that would mean more kilometres on the Italian mainland on our way back. We opted for some more riding in Sardinia, because of the above-mentioned reasons. A two-day visit to the beautiful – and rather expensive -Costa Smeralda in the North, was icing on the cake. It turned out to be a near perfect holiday. We rode more than 1000 km on the island and hardly any of those were straights. On top of that we did some modest off road riding that took us through some amazing green fields, we even crossed a shallow river and did some drifting on a deserted beach. Great bike, great tires, great weather and great roads. In short: we had blast. What's that in the road? Bridgestone Corporation is a multinational auto and truck parts manufacturer founded in 1931 by Shojiro Ishibashi in the city of Kurume, Fukuoka, Japan.